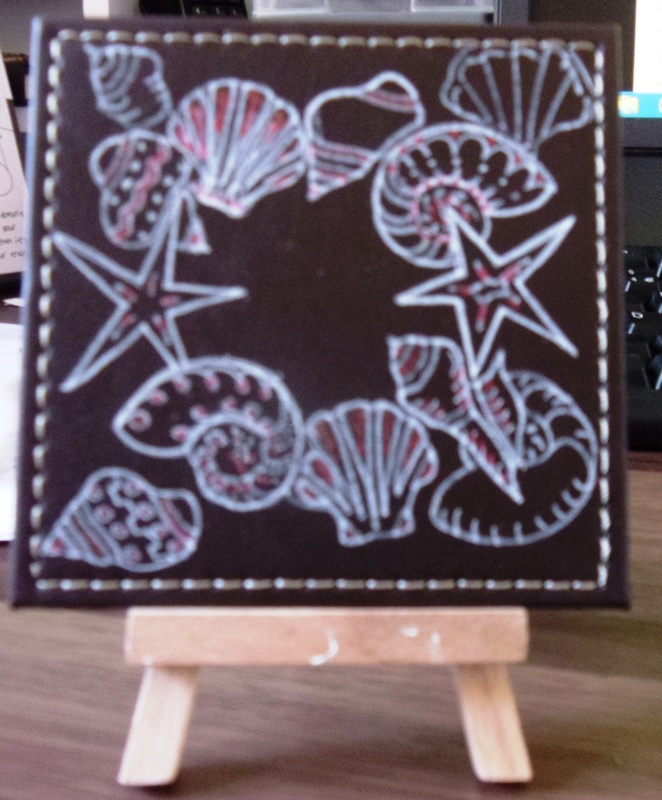 This is a faux leather (plastic) coaster that I’ve stencilled then tangled in white and metallic pen. Rachel’s birthday card. Her latest tattoo (grrrrrr!) 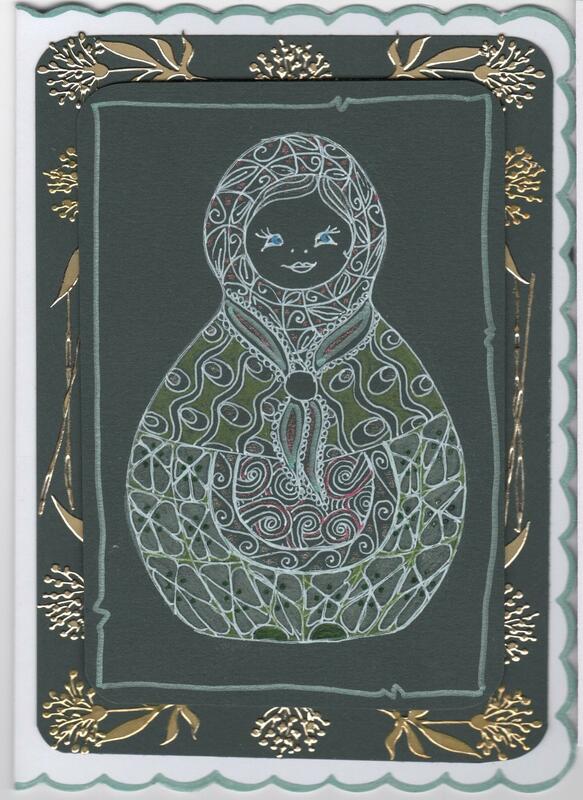 is a Russian doll so it seemed appropriate. It’s September and Autumn is just around the corner. In the week since we came back from the glorious sunshine on the west coast of France, the English weather has been very English. Grey, dull, rainy and just a bit colder than is comfortable. Our world goes from monochrome to technicolour and back again like an art movie from 1970. But without the bad language and cigarettes – most of the time. 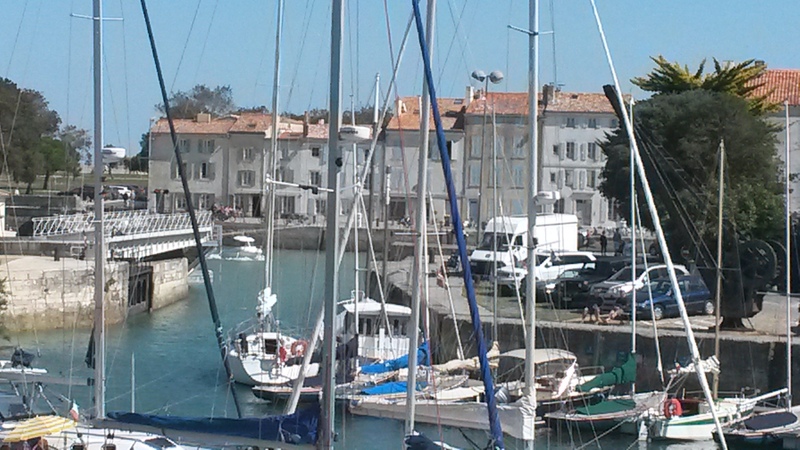 St Martin en Re, very lovely. A French friend told me years ago that there is a code to how many times you kiss people when you greet or leave them. (I like the way they explain it on this map too, but I’m not so sure about it. I like my friend’s way better. http://gadling.com/2008/06/23/french-kissing-just-how-many-cheek-kisses-to-give/ ) Apparently, never kiss your boss. (Never wanted to but perhaps that’s just me.) Kiss not so close friends twice, right cheek first. Kiss friends and family four times, also right cheek first. 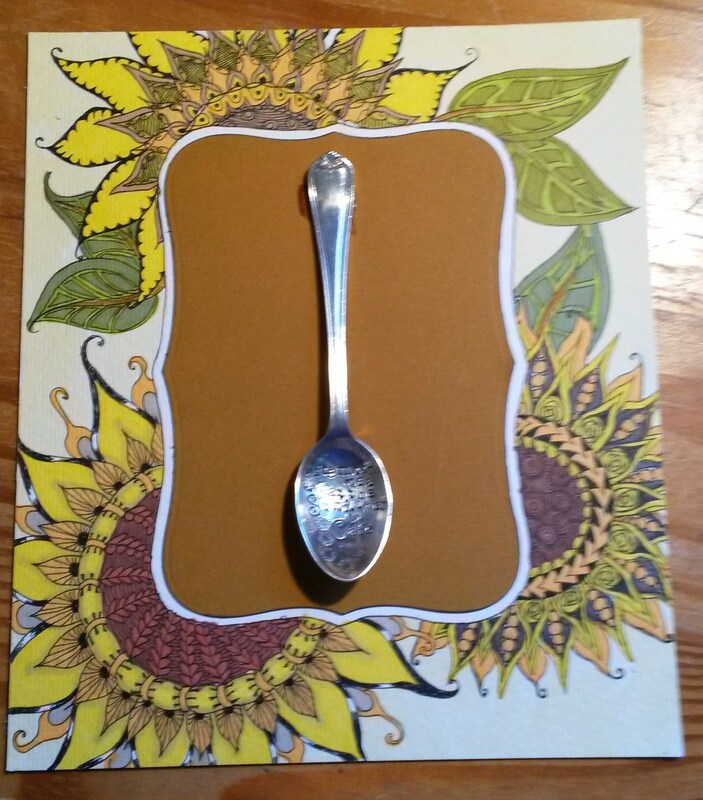 Can you see the words hammered into the bowl of the spoon?